Click on the links below to download the latest Curriculum Information Leaflet for children in Year 5. Parent Curriculum Leaflets will be added during the year at the start of each creative learning project. You can download Copley Junior's Recommended Reading List for Year 5 by clicking here. See the overview of what Year 5 will be learning during 2018-2019 by viewing their long term plan here. Year 5 made Copley Junior School's latest voyage to the National Space Centre in Leicester to launch the next stage of their 'Stargazers' Science project. What a fantastic venue! The children toured the galleries, which were full of interactive and engaging exhibits, and they also enjoyed a mesmerising planetarium show. The visit really helped to consolidate children's learning about Space, helping them to collect vital information which was used to write our non-chronological reports about the Solar System. The whole day led to extremely engaging conversations in the classroom! From our exciting visit to the National Space Centre to intriguing experiments trying to determine the most appropriate material to make space suits, this half term has been extremely busy in Year 5. I am sure you would agree that the children have had lots of amazing learning experiences! In our topic work we have explored Space and beyond, which has led us into some amazing research and science work. Indeed, the children have produced some amazing home learning projects that are creative and enriching. Our English work has allowed us to continue to develop our writing and reading as well as improving descriptions of mysterious witches as we studied 'Macbeth'. Most recently, Year 5 have been investigating alien sightings and reporting the unusual events to the shocked readers of their newspaper reports. In maths we have continued to develop our skill set alongside more difficult ‘mastery’ challenges. We have most definitely needed our growth mind-set and learner values when working on the more in-depth challenges. It has been challenging but at the same time very rewarding for all. Science has involved continuing to develop our inquiry skills as well as creating our own group fact files about the Milky Way and beyond. We have also had the opportunity to look in detail at the phases of the Moon, the mechanics behind our eyes and how they work, night and day and all of the planets in our amazing Solar System. In their science work children described the movement of Earth, and other planets, relative to the Sun in the solar system. They described the movement of the Moon relative to the Earth and that the Sun, Earth and Moon are approximately spherical bodies. Thank you to parents/carers and relatives who joined us for the Year 5 express event. This was a very active and competitive event that challenged children's problem solving skills as they made rockets using limited materials in a limited timescale. 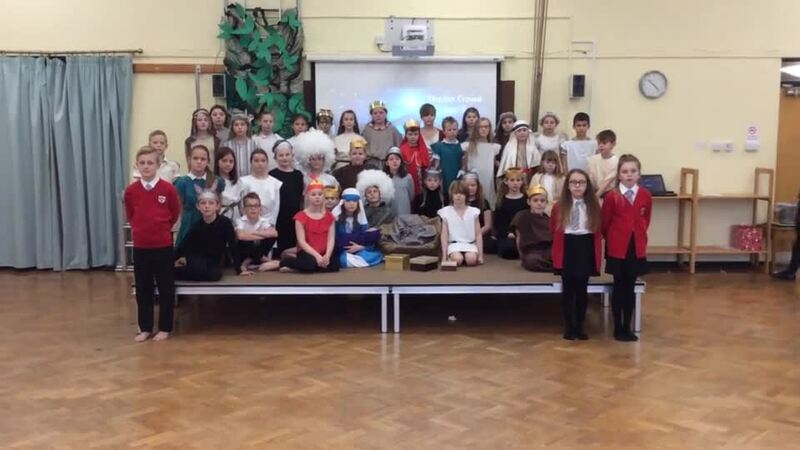 To read some of the comments following the Year 5 express event, please click here. Please click on the picture link below to view some of Year 5's fantastic home learning work. We have developed a strong link with St Joseph in Carquefou to enable our children to find out about the experience of pupils living in a different country and to enhance our teaching of French. To find out more about our link school in France please click here. Kicking off their learning project on Ancient Egypt with a trip to Weston Park, Year 5 explored the exhibitions in the museum before undertaking the task of mummification. Extracting brains through the nostrils and placing vital organs in Canopic jars were just a few of the tasks they undertook before making their own ‘shabti’ to be buried alongside ‘Dead Fred’. Click on the first picture below to view a photograph selection from our visit to Weston Park. As part of their 'Pharaohs' creative learning project, children used their D.T. skills to design and make canopic jars using papier mache and lots of gold paint. Click on the first picture below to view a photograph selection from our Year 5 Concert. ‘Time Travels’ when you’re having fun! 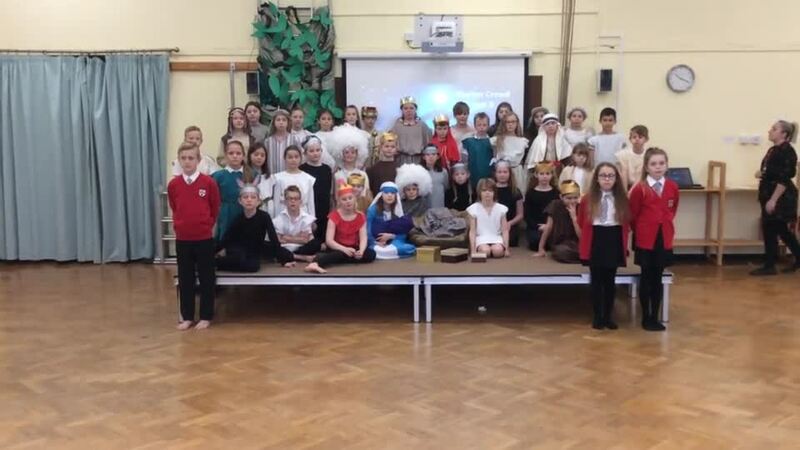 This half term has been an exciting time for Year 5, as they have been time travelling as part of their project. The children have worked diligently to research what our world has become and what it once was like. As part of their 'Time Traveller' project, Year 5 described the changes as humans develop to old age. Children researched the stages of gestation in humans using photographs, books and laptops and then presented their information in written reports. They then compared human gestation with that of various animals. Year 5 also designed posters to present information about the importance of hygiene to help keep our bodies healthy. In maths children compared life expectancy in different countries and chose how to present the information in graphs. In their D.T lessons Year 5 children enjoyed developing design criteria to inform the creation of their innovative and functional clocks inspired by time phrases such as ‘time is precious’ and ‘time flies’, including selecting from and using a range of tools to cut, shape and join materials. All the clocks created by the children in Year 5 are shared below. Can you work out the time phrase that has inspired the creation of each clock? In Computing Year 5 learned how to create Andy Warhol-style, pop art portraits from a photo using a Photoshop application. Please click on the picture link below to view some of Year 5's creative home learning work. We have been busy in maths, learning to measure accurately using protractors and using the Year 5 writing assessment criteria to help us to improve our writing skills. As part of their Computing unit of study 'We are Game Developers', Year 5 explored gaming, using logical reasoning to explain how simple algorithms work. They then used logical reasoning to detect and correct errors in algorithms and programs. Year 5 then used variables in their programming before creating and developing their own amazing games! At the end of last half term, the Year 5 eco-councillors conducted a survey in school every day to find out how many laptops and interactive whiteboards were left on during lunchtime when they were not being used and also how many of the school’s lights were on ‘Eco’, ‘Eco+’ or ‘Max’ mode. This is the data we plan to use to compare with after we have done the ‘Switch Off Fortnight’. This half term, the Green Team have been around the whole school and have put up signs with our energy saving mascot (Mr Energy Saver) to remind people to turn off laptops, interactive whiteboards and lights. Now we have launched the Switch Off Fortnight, the Year 5 eco-councillors will repeat the survey for the next two weeks to see if our signs and reminders help us reduce the amount of electricity we use in school. Following our Switch Off Fortnight, children in Year 5 created graphs to show the impact of our drive to save energy. Children in Year 5 also collated data in a spreadsheet in order to create graphs to analyse and show the impact of our drive to save energy. We achieved our aim of reducing energy use over the two weeks, so well done everyone and remember to keep switching off interactive whiteboards, lights and laptops when they are not in use! What a thrilling and exciting half term Year 5 have had. We have been delving into the amazing project, Alchemy Island, exploring its diverse landscape and analysing precious samples taken from its varied terrain. The children in Year 5 have worked methodically and systematically to test and explore the samples using our learning about changes of state, separating and density of liquids. Children came to the rescue of the residents of Alchemy Island after a tragic flood mixed up all of the elements. Sieves, filters, petri dishes, evaporation, dissolving and stirring were utilised to put the island back together again. Year 5 researched facts about solids, liquids and gases and decided how to present their learning. In English we have been writing narrative based around a magical video, The Alchemist’s Letter. We have worked in detail at building suspense and tension, using weather to paint the mood of the story and using figurative language effectively. Year 5 teachers have been extremely impressed with the standard of work and the excellent vocabulary being used by all children across the year group. In maths we have been learning about angles, area and perimeter and fractions. We have also used our cross-curricular skills to look at data taken from meter readings within school and produced graphs showing the impact on the environment, as you can see in our 'EDF Switch Off' information above. We have also continued to consolidate our learning from previous projects ensuring that we have used all of our skills to approach challenges with an open mind and a growth mindset! For their Design Technology work Year 5 designed their own board games on the theme of 'Alchemy Island' and devised clear and succinct rules.